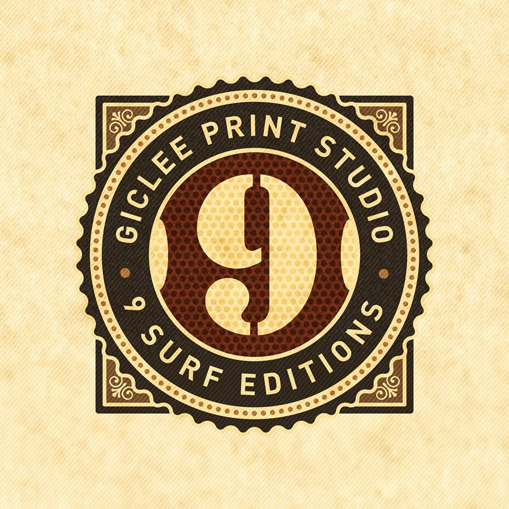 Founded in 2012, 9 Surf Editions began as my private studio and quickly developed into a place where artists and photographers come from all over to have their work printed. A meticulous attention to detail is the foundation of 9 Surf and is the hallmark of our superior quality. We take a one-to-one approach with an attention to detail in the tradition of old-world craftsmanship while using the latest technology to produce museum quality work . 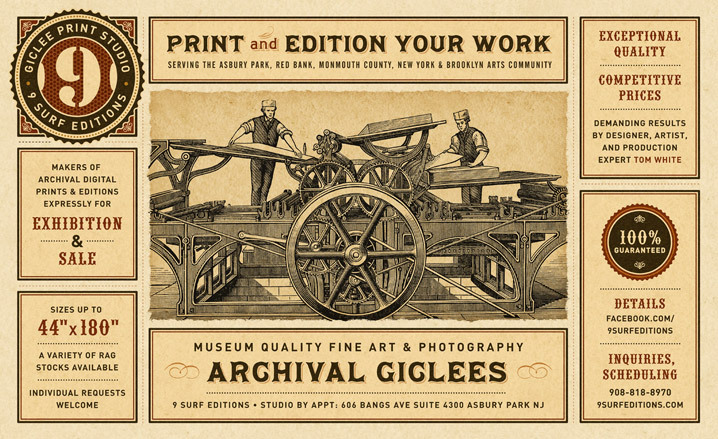 Design a complete branding and marketing system for our fine art printing studio serving artists and photographers around the world.